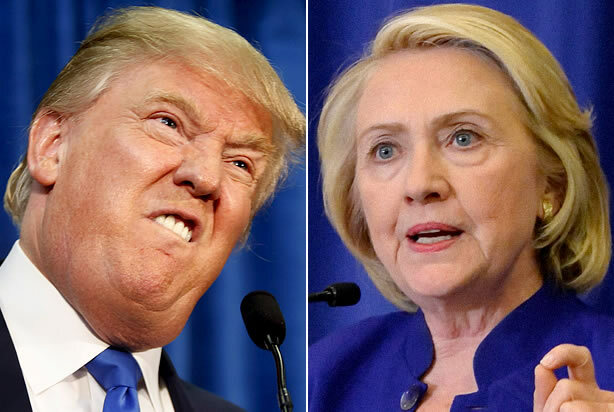 Republican presidential candidate Donald Trump has caught up to Democratic rival Hillary Clinton, according to the latest national poll numbers released this morning. The CBS and New York Times poll has the presidential candidates tied at 40 percent each with margin of error of three points. The poll was conducted July 8 through July 12, in the aftermath of FBI Director James Comey’s recommendation not to file criminal charges on Hillary Clinton for her email controversy. Just last month, Clinton was leading Trump by six points, with Clinton at 43 percent of the voters polled and Trump at 37 percent. Clinton’s numbers have been declining steadily since April 2016 when she was leading Trump by ten points at 50 percent and Trump at 40 percent. By May, Clinton was leading Trump by six points at 47 percent and Trump at 41 percent. Clinton’s decline in polling could be due in part to 67 percent of voters not finding her honest or trustworthy, a five percent increase from last month. Meanwhile, 62 percent of voters say Trump is not honest or trustworthy and two-thirds of voters say he is not prepared for the presidency. This is not the first time this poll has found that voters are nearly split when it comes to their presidential pick. A similar poll taken around the same time frame in 2012 had President Barack Obama at 46 percent, only one percentage point over his then rival, Republican Mitt Romney. When it comes to the election itself, 61 percent of polled voters say they are not looking forward to the rest of the campaign. More People Are Considering Moving To Canada Following Trump’s Win!